Tonight is the start of the holiday of Shavuot, the celebration of the giving of the Torah. In the diaspora the holiday lasts for two days, and in Israel just one day. But what observances everywhere have in common is the Tikun Leil Shavuot, the study of Torah all night, commemorating the anticipation by the Jewish people of receiving the Torah on Mount Sinai about 3,500 years ago. In Jewish communities around the world, young and old attend lectures and study sessions in synagogues and homes that start around midnight and last as long as the participants can stay awake, usually fortified by coffee and cheesecake. Everyone has his or her favorite part of the Torah, whether it's in the Chumash or in the Prophets. 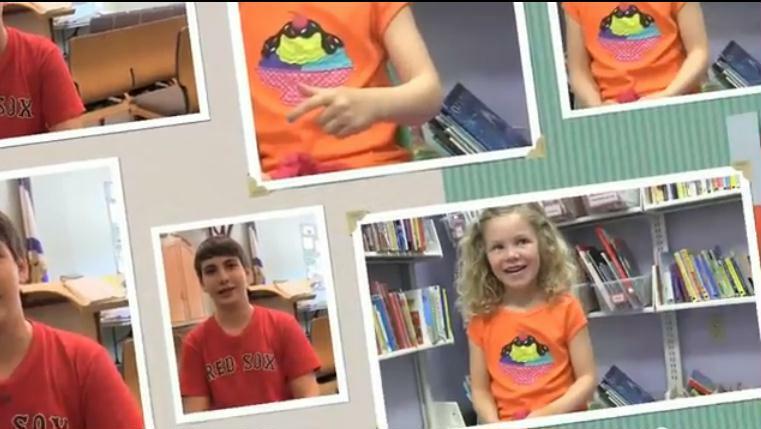 The Solomon Schechter Day School of Greater Boston made this clear with a video showing 16 children from Kindergarten through eighth grade telling what their favorite story is. The kids do not disappoint, and they are very cute. We will be listening and learning tonight (well, maybe not all night) and catching up on lost sleep Wednesday and Thursday. We'll be back with our usual Jewish humor mix on Friday. Enjoy the video, and have a Chag Sameach.